Baby carriers are a perfect way of building that close bond with your baby. This baby gear comes in handy, especially when you’re constantly on the move. 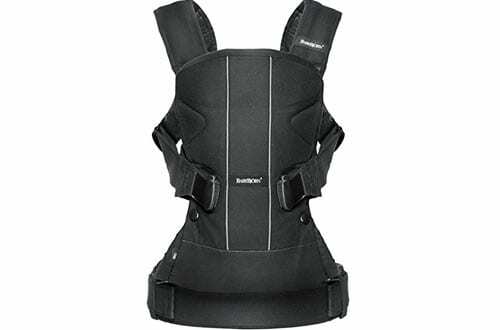 Sufficiently padded with multiple carrying positions, they ensure that your baby gets that ergonomic comfort. The ease-of-adjustment mean that they grow with your baby from infant to toddler stage. Getting the best baby carriers is a good way of ripping the most benefits, both for you and your child. 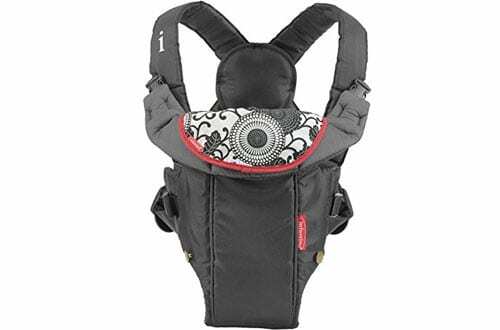 There are unlimited options in the world of top-rated infant carriers. But it’s good to go for the top models that will ensure your baby grows healthy and happy. Below, we take a look at the best baby carriers designed to provide the most in quality and comfort. Sparing yourself a few minutes and choosing the carrier that will transform your life and that of your baby. 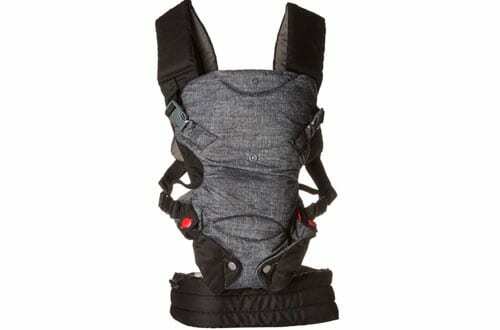 Soft, durable and well ventilated, this baby carrier provides the most comfort, both to the baby and the wearer. Its 3D mesh construction does great work in providing maximum temperature control. 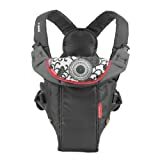 The carrier sports a whopping 6 carrying positions: Front ( Fetal, Infant, Face-Out, and Toddler), Hip and Backpack Style. It provides excellent lumbar and neck support. The carrier comes lightweight and compact for travel. It’s designed for babies weighing 7 to 45 pounds. Parents with babies weighing 8 to 32 pounds might find this carrier quite handy. 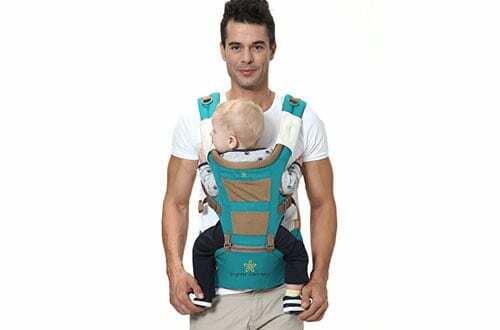 It’s a 3-in-1 carrier that lets you carry the baby in 3 different positions: Face-In, Face-Out and Backpack Style. The carrier comes recommended as a warm weather wear, thanks to its breathe mesh fabric woven in the interior. You get all-day comfort made possible by the extra wide adjustable padded straps. 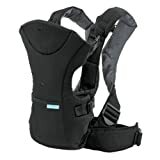 The carrier is designed to provide the most in lumbar support. 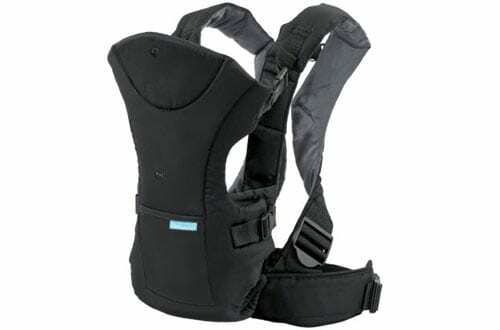 Fitting close to the body, this carrier provides that close bonding with your newborn. It sports 2 carrying positions (Face-In and Face-Out) ergonomically designed for exceptional comfort. 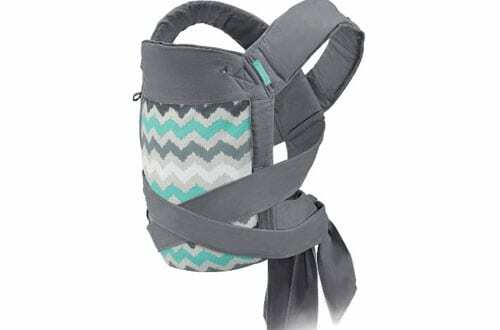 This classic carrier is made of cotton and supports babies weighing 8 to 25 pounds. 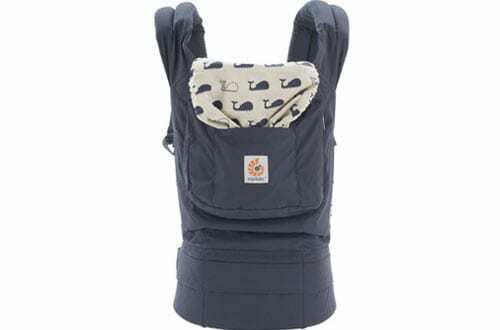 This style of Infantino carrier comes equipped with a hood for extra protection. It sports 2 carrying positions (Front and Back) and has that unique ergonomic seat that lets your baby relax in utmost comfort. This carrier sports the adorable look of a teddy bear styling to give it that cozy feel. The padded straps are made to be extra plush and can be adjusted to fit your size. The carrier supports 12 to 40-pound babies. Go classic in this Infantino Swift carrier. It’s a lightweight and compact choice, which gives you the most comfortable on the go. 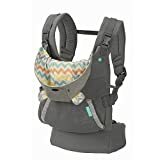 The carrier sports a 2-in-1 design (Face-In and Face-Out) and comes equipped with a wonder bib cover for maximum protection. The padded straps provide the convenience of a one-touch adjustment and are extra wide for uniform weight distribution. The carrier fits babies from 8 to 22 pounds. 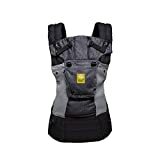 This is a 3-in-1 (Face-In, Backpack, and Hip-Hugger) baby carrier that provides the extra protection of a detachable hood. The hood creates a canopy to protect against the sun letting your baby get that wonderful sleep time. The tie design is a buckle-free wrap done in seconds. This carrier is for children who are 8 to 36 pounds. The new design and ergonomic styling make this baby carrier unique. Made of 450D fabric, this carrier is designed to last. It’s well ventilated and sports a whopping 5 carry positions. The support provided by the carrier targets the back and lumbar region. This carrier supports babies and toddlers weighing 13 to 33 pounds. 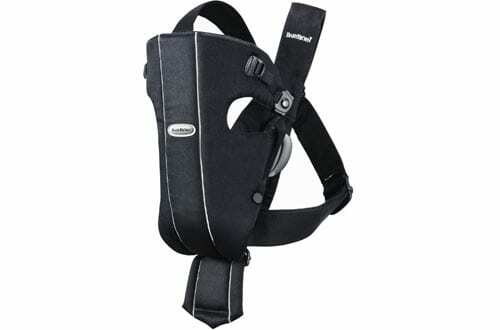 This carrier provides the convenience of a support waist belt. 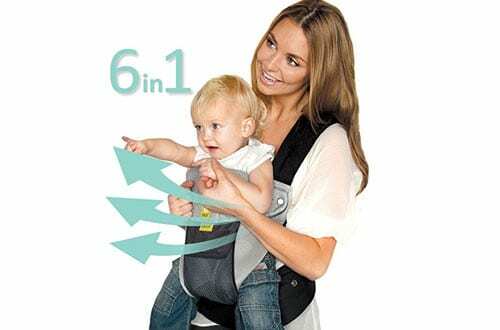 It allows you to carry your baby in 4 different positions: Face-In (narrow and wide), Face-Out and Backpack. With it, you get the comfort of extra wide padded straps. The straps can be adjusted to increase the level of carrying comfort. The carrier comes with a seat that supports 8 to 32 pounds. 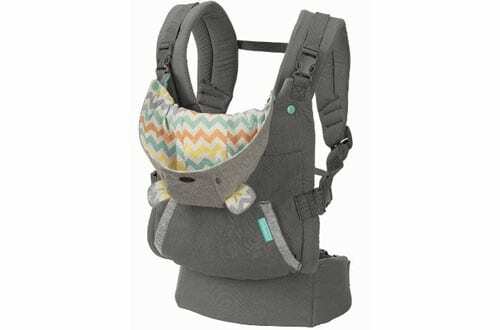 The ergonomic design sported by this carrier lets your baby cradle in a more natural position. It’s got 3 different positions to carry your little one: Front, Back, and Hip. The weight of your baby is distributed evenly for additional comfort. 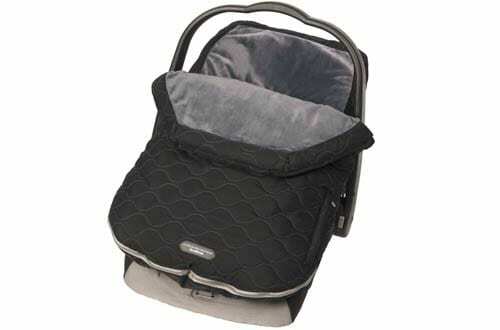 The carrier comes with an infant insert and has a supportive weight range of 7 to 45 pounds. Coming in black with beautiful white accents, this carrier provides an ergonomic carrying experience that’s more comfortable. Sufficient padding provides great cushioning while a wide seat gives your baby plenty of room for movement. You carry your baby in 3 different positions: Backpack Style, Face-In, and Face-Out. The carrier is for babies who are 8 to 33 pounds.